FHIR is a protocol that joins disparate systems so information can be transmitted from one system to another. It is a draft data standard developed by HL7 International. The philosophy behind FHIR is to build a set of common resources that satisfy the majority of use cases, either by themselves or in combination with one another. How does it work? Each data element (also known as a resource) has a tag. It is like a URL; it does not matter which operating system or browser you are using to access a website – the URL is standard. FHIR aims to standardize those data elements so it does not matter what kind of electronic health record (EHR) system you are using to access them. An accessible, standard URL would allow several applications to access that information. FHIR was developed because of a lack of interoperability. Before introducing FHIR, interoperability was based on documents. 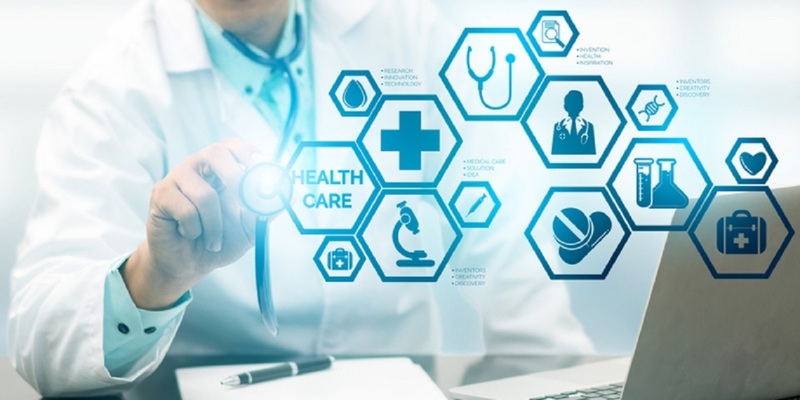 It did not matter how they were sent – faxed, emailed, transmitted electronically – healthcare providers had to choose a set of information within the document and then only transmit that data. That approach creates static information which is difficult to extract, comparable to sending data via a PDF document. The information is not complete; practitioners do not get the full picture of a patient. Such data is vital to healthcare providers so they can make the right decisions. How Is FHIR Used to Improve Interoperability? FHIR improves interoperability in healthcare by creating apps that have evolved beyond a document-based environment. These apps use a standardized application programming interface (API), which specifies how components should interact. Thanks to APIs, apps can be plugged into EHRs and feed information directly into a provider’s workflow. This system is a significant improvement to document-based data transfer. Healthcare practitioners must access information about patients separately through this method. That might involve logging into two separate systems; the app approach allows healthcare providers to see everything in one place. What does this mean for healthcare EDI? APIs are not going to replace healthcare EDI; on the contrary, FHIR are the specifications for web services. They will allow the right information to flow to the people who need it most so they can make the best decisions for patients. FHIR reduces the friction between EHR solutions so healthcare practitioners can get the greatest possible amount of information about a patient possible. It enables interoperability for maximum effectiveness of healthcare practitioners and better outcomes for patients. To learn more about healthcare EDI, talk to us and get an EDI Assessment. Absolutely free.